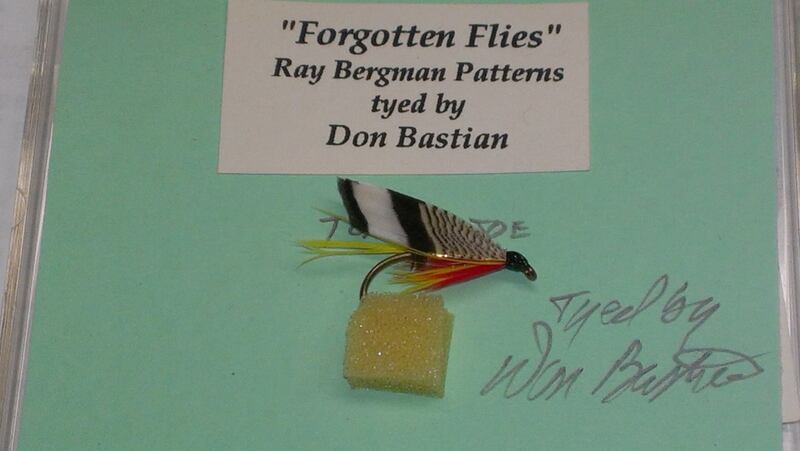 Two different people sent me this photo over the weekend of an unknown (as far as I know), carded Carrie Stevens bucktail pattern. Obviously, it is her card, her handwriting, and her fly. 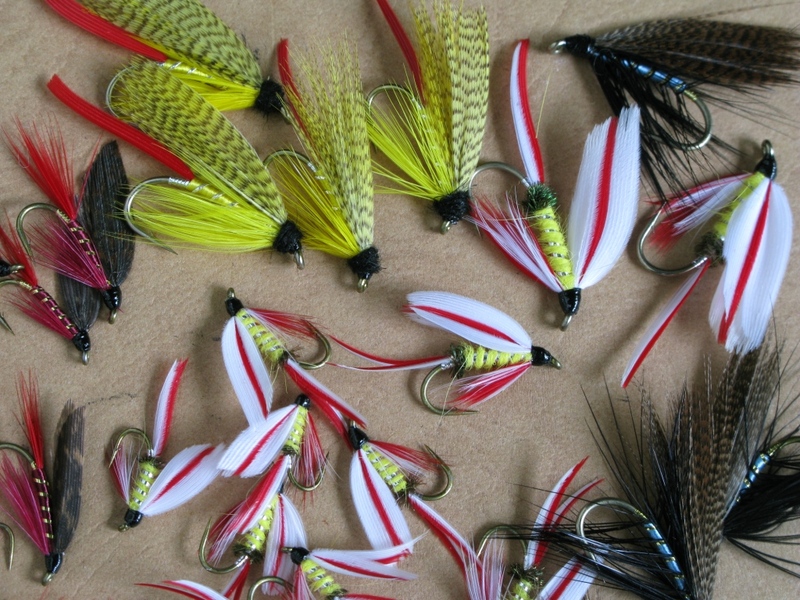 And very interesting in that fly is is a similar design to the FRS Bucktail patterns she originated for her friend and client of her guide husband, Wallace Stevens. 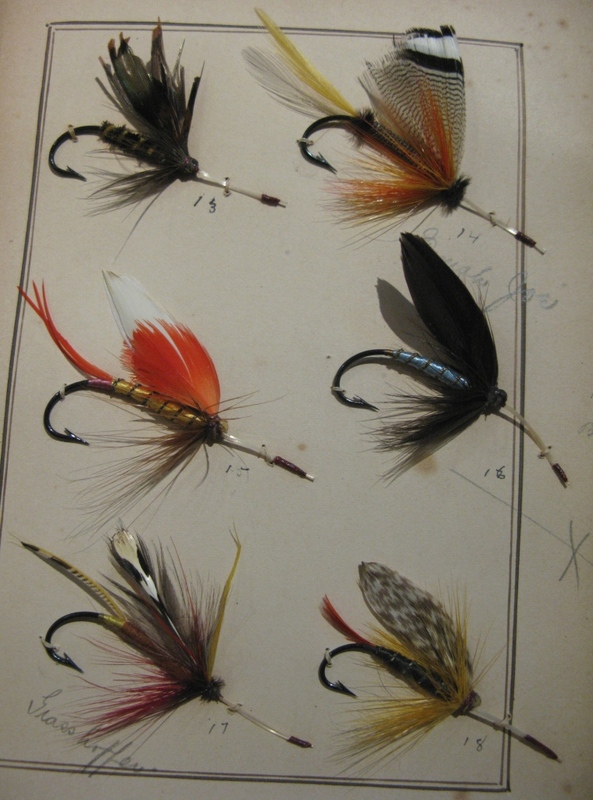 The client for whom the FRS bucktails were created and named was Francis Reast Smith, 1873-1950. 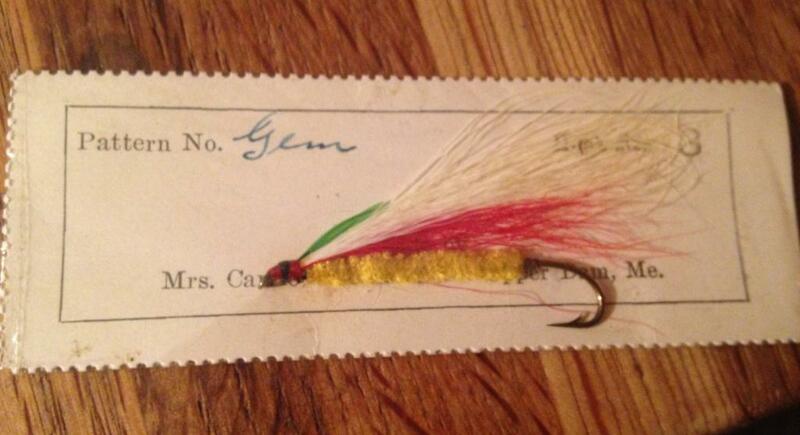 Gem bucktail, created and tied by Carrie G. Stevens of Upper Dam, Maine. 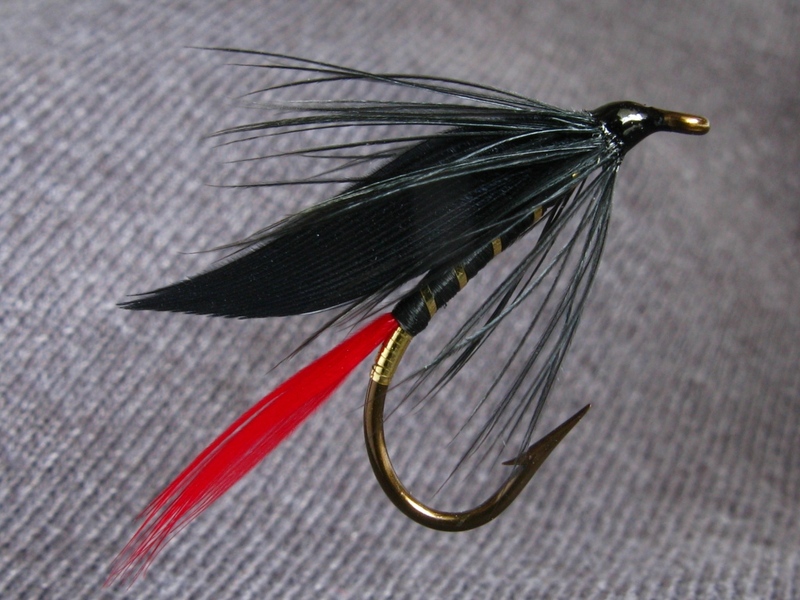 This hook is a variation from her standard use of the Allcock 1810 Regular Heavy Sproat turned-down eye streamer hooks that she normally used. 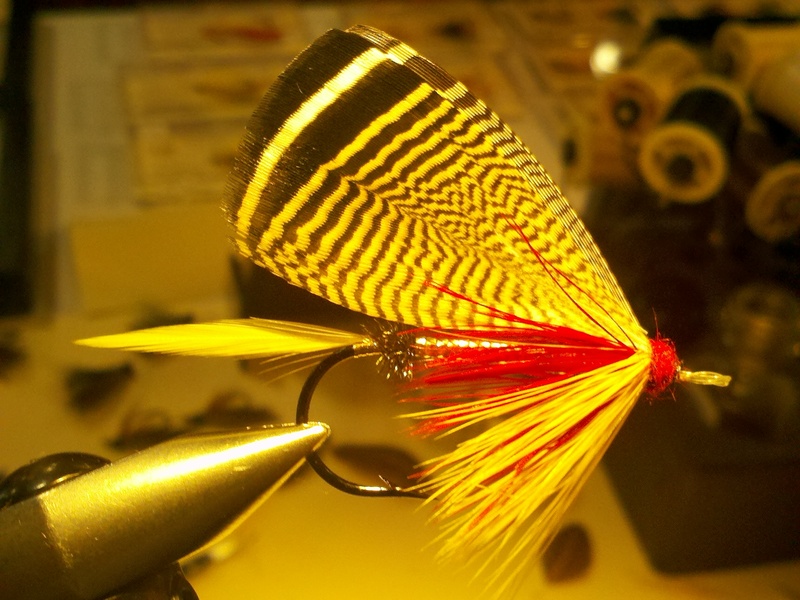 Not sure what it is, but it is known she used some Mustad hooks similar in design to the Allcock 1810 after World War II. This is also interesting for another reason: chenille was like, never used on any of Carrie Stevens’ other named and well-known and known, but unfamiliar patterns. 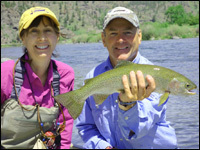 On the tag, it is very likely that it is a silver tinsel, because of all her named and known patterns, give or take a hundred-plus, she used gold tinsel on only five of them. Upon close inspection, the profile of the tag seems to indicate that it is oval tinsel as well, presenting the use of another material that she did not use on the dressings of her standard Rangeley Style streamers. Don’t forget folks, you can click on the image to enlarge it, and another click will make it even bigger Check it out! 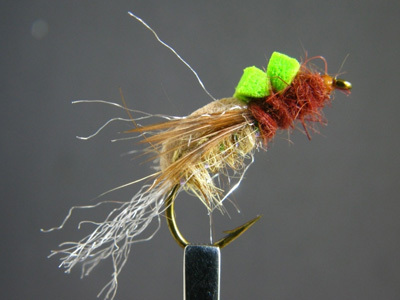 The topping appears to be green hackle fibers. 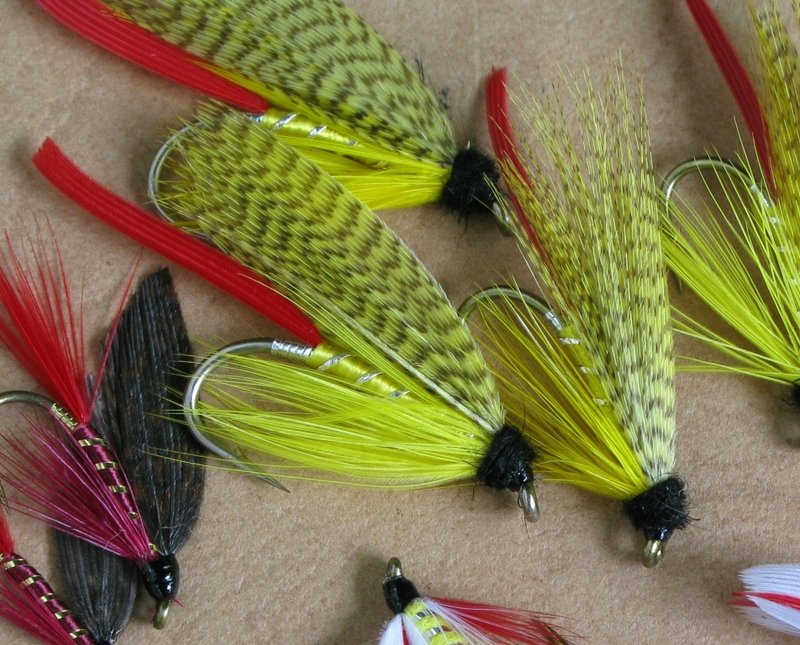 Body is yellow chenille, and the wing is white bucktail over red bucktail. I’m sticking my neck out a bit and am calling the tag oval silver tinsel, without having made the aforementioned detailed investigation. To my regular followers…I have a major life-change event on the horizon…all good. Moving on and forward from some of the negative residual of my ill-fated second marriage which ended almost four years ago. I have been very busy with all that. At some point I will be more in control of everything and will be able to focus on more regular writing here as well. I send my heartfelt thanks to all of you for your patience and devotion. 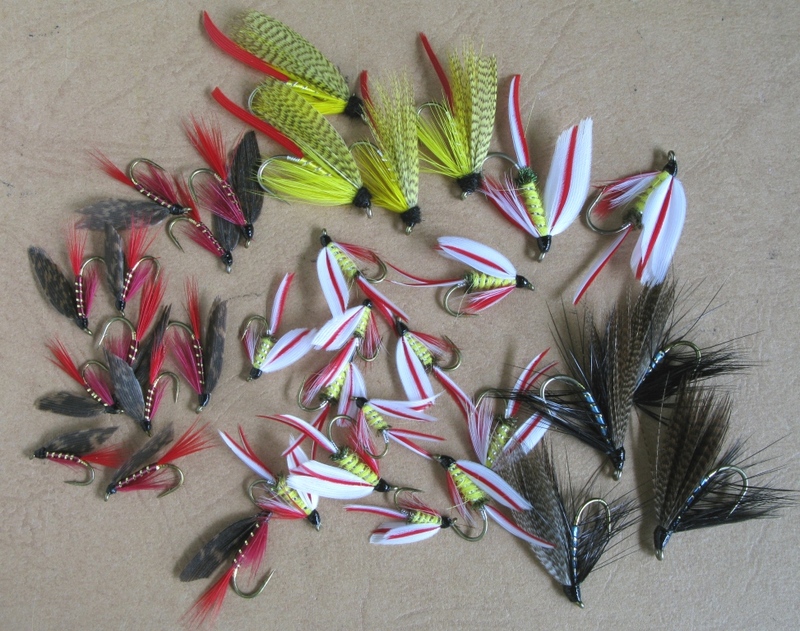 I will be at the International Fly Tying Symposium in November, the 22nd and 23rd, in Somerset, New Jersey.